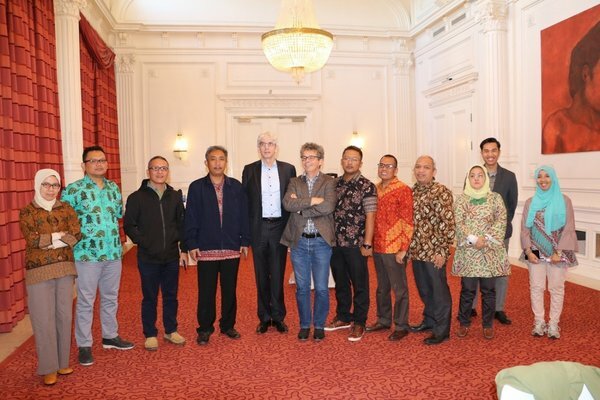 As part of collaboration and support from the Netherland Government of Infrastructure and Environment toward Indonesian Green House Gas (GHG) Inventory development, since 2017, the Netherland Government provide technical grant to enhance capacity building on Indonesia GHG Inventory. This project involved several implementation agencies from the Netherland Government of Infrastructure and Environment – Directorate of International Affairs (DGEIA) with project partners the TNO, the Statistics Netherlands (CBS) and the Dutch National Institute for Public Health and the Environment (RIVM); with the Ministry of Environment and Forestry Indonesia - Directorate of GHG and MRV (DGCC) and CCROM-SEAP IPB. The main objective of this project is to enhance the capacity of Indonesian stakeholders by improving the Indonesia GHG inventory system, including its Measurement, Reporting and Verification (MRV) of GHG Emissions. The outcome of this project is expected to enables Indonesia government to adequately address all upcoming challenges regarding the transparency framework as agreed upon in the Paris Agreement. There are several work plan to fulfill the main purpose of this cooperation. One of the work plan that was already conducted was working visit to the Netherland on 17th – 21st April 2017. 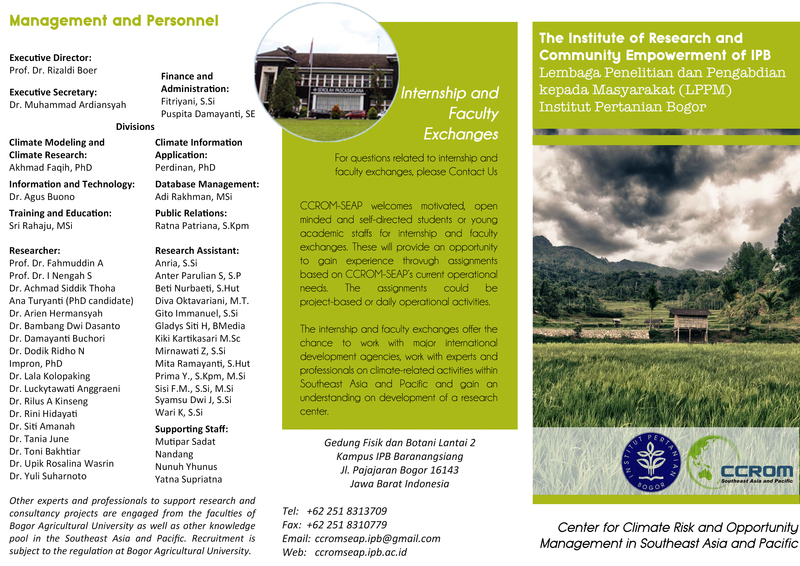 The delegation for this working visit consisted of 11 experts from various Indonesia agencies such as the Ministry of Environment and Forestry Indonesia - Directorate of GHG and MRV (DGCC), The Indonesian Statistics (BPS) and CCROM-SEAP IPB. The delegations had been visited several agencies in Netherland such as RVO.NL, Netherland Statistic (CBS) in Den Hague and Dutch Institute for Public Health and Environment (RIVM) in Utrecht. 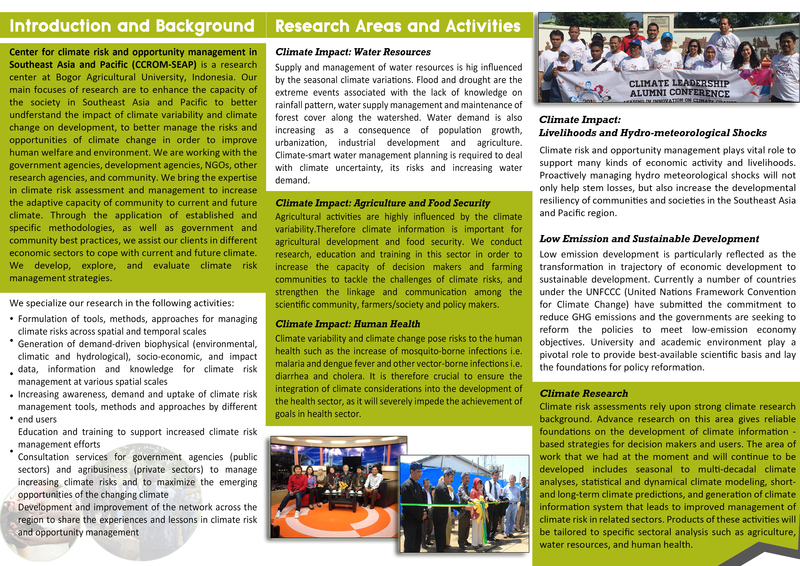 In these agencies, there were a lot of knowledge sharing related on The Netherland MRV process and system which include National Institutional Arrangement, National Inventory Entity, role of Netherland Statistic in GHG Inventory activities, Netherland GHG Inventory System under Pollutant Release and Transfer Register (PRTR) and etc. Through this working visit, it is expected to get a new outlook and lesson learn from the Netherland experience for improving GHG Inventory system in Indonesia.